All of Sentry Security's officers are fully trained, licensed, bonded and insured. Providing you with professional service you can depend on. Supervised Officers, Monitored Control Points, Alarm Response & Verification. These are only a few of the services we can provide. Providing all types of on-site security officers for commercial and residential customers throughout the metropolitan area for 45 years. "I would like to personally thank you and your staff for the outstanding job Sentry Security has done and continues to do for us." Sentry Security is a family business with great values and a rich military foundation that has served the St Louis Metropolitan area for over 45 years. With three generations of Marines and three generations of police officers, our background has really given us an advantage in this industry. Since its inception in 1969, Sentry Security Agency Inc. has focused on honesty and fair treatment of all employees and customers. Sentry Security is committed to developing new security products and services to protect both residential and commercial property within the community. Sentry Security strives to be recognized as the most progressive security company. As a team, we work to develop influential leaders that empower their peers in order to attain mutual success. At Sentry Security we are always looking for individuals that want to excel given the right opportunity. 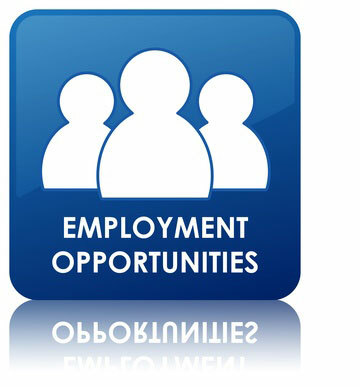 If you are looking for full or part time work we may have a position that fits your needs. Providing on-site security officers for commercial and residential customers throughout the St. Louis Metropolitan Area for over 45 years. All of our armed & unarmed officers are fully trained, licensed, bonded and insured. 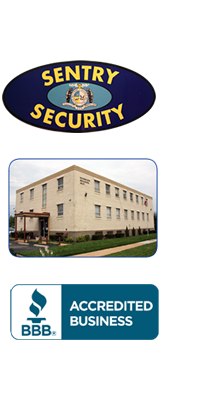 Sentry Security officers are licensed in St. Louis City, St. Louis County, and St. Charles County. Sentry Security Agency has approximately 150 licensed, insured, armed and unarmed security officers; with a large percentage of our team comprised of military veterans. We believe in advance training - including a structured chain of command as well as strong core values. Our officers are easily identified by a required professional uniform and clean appearance. Every customer is important to us. Site inspections are conducted prior to new service agreements to become familiar with the layout of facilities that are in need of protection. Our staff will perform a personalized and complete security assessment to produce a customized set of post orders specific to your location. You can trust Sentry Security, to go above and beyond to meet the needs of our customers. Our unique and cutting edge Electronic Guard Supervision (EGS) System gives you real time information about your security service. Want to ensure a vulnerable area on your property is being checked all throughout the night? Ever wonder if the security officer on duty is fulfilling his obligations? EGS System notifies our home office when an on-duty officer fails to report on scheduled intervals. Our 24 hour, UL listed, dispatcher advises our mobile patrol supervisor when activity ceases at any one of our patrolled locations. Immediately, the patrol supervisor responds to the current location to assess the situation. EGS System	assures our customers that they are receiving complete protection. Per request, Sentry Security will provide detailed reports showing scheduled security officer patrols. Sentry Security Agency provides 24 hour, 7 days a week, mobile patrol service. We dispatch a marked patrol vehicle to your location where a licensed and uniformed patrol officer will conduct a complete visual inspection of the property. We look for any areas that may appear to have been breached or vandalized. Our officers are prepared to stand post until an emergency contact can be notified of the current situation and the property is secured. All incidents are documented and a written report is provided for your review. Sentry Security Agency responds to commercial and residential burglar alarms. If you are looking for someone to take late night phone calls and validate alarm notifications from your current alarm company, we can provide this service for you. Has the police department stopped responding due to an excessive amount of false alarms? Sentry Security Agency will be glad to provide this service.